Can (MICs) governments make the global R&D system work for all? This is a cross-post with the Spanish blog El Pais’ 3500 Millones. 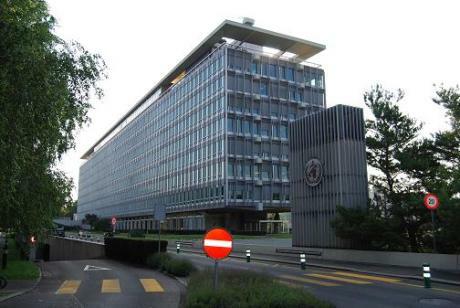 This week the Executive Board of the World Health Organization (WHO) is meeting in Geneva to discuss, among other topics, a controversial draft resolution drawn up by Member States in November to address weaknesses in the global pharmaceutical R&D system. As a microcosm of broader global governance processes affecting health, the R&D debates raise serious questions about the willingness and ability of governments collectively to tackle stubborn and systemic problems perpetuating global health inequities. Decades ago, the pharmaceutical R&D system was primarily national, governed by national policies and priorities. But today R&D is a globalized endeavor, with pharmaceutical companies and academic researchers spread across the world, clinical trials taking place in more and more countries, a globalized intellectual property regime as the main mode of financing R&D, transnational networks of patient associations, multinational pharmaceutical companies adopting global pricing policies, and – importantly – the globalized norm that everyone should have access to medicines as part of the human right to health. But we do not yet have effective global rules for managing this system – in other words, there are serious gaps in the global governance of health R&D. For many people, the current system is not delivering. It does not drive enough investment into diseases promising limited profits, such as the “neglected diseases” that predominantly affect the poor. It does not provide enough incentives for rapid open knowledge-sharing that could accelerate scientific progress. And it does not ensure that medicines prices will be affordable to the majority of people who need them. The end result is that the health needs of many people, particularly (but not only) in developing countries, are badly neglected. In April last year, the latest chapter in a decades-long debate began to unfold when an independent WHO expert group presented the conclusions of a two-year process analyzing ways to strengthen the R&D system. Known as the CEWG (Consultative Expert Working Group on Research and Development), the group’s overarching proposal was that Member States begin negotiations for an R&D treaty that would provide a global framework of norms and commitments to secure financing of R&D where the market had failed, and to ensure that R&D investments would be targeted at the areas of greatest global health-need. The group also recommended measures to make the system more efficient and effective, such as creating an observatory to monitor global R&D financing and activities, and to incentivize open-information sharing among globally-dispersed networks of researchers working on related problems. The past decade has witnessed many innovative new approaches to addressing parts of the R&D problem, such as non-profit product development partnerships (PDPs) focusing on specific neglected diseases, open-source approaches to drug discovery and development, or access policies to make medicines more affordable. But these efforts are ad hoc, institutionally-fragile, and only a partial solution, at best. For example, most of the funding for the roughly two-dozen PDPs comes from the discretionary allocations of a small handful of donor countries and the Gates Foundation – these financial flows could dry up at any minute. Unless governments can put R&D on firmer footing by building a coherent and enabling global framework for financing and coordination, ten years from now we’re likely to find ourselves in the same place. Ensuring innovation and access to medicines for their populations is still primarily the responsibility of national governments, but governments will be ineffective if they act alone in a globalized R&D system. And so they also need to work together through institutions like the WHO. But the outcome of three long days of negotiations at a follow-up WHO Member State meeting last November raised doubts as to whether they are up to the task. When it came to words, governments agreed on some central norms and objectives of a global framework – a major step forward. But when it came to action, instead of a transformative global framework, they managed only to agree on bits and pieces. In the draft resolution to be taken up by the Executive Board this session, they proposed to collect more data through a global observatory and to launch pilot demonstration projects. There was little sign of systemic change. Civil society organizations rightly expressed disappointment at the timid outcome, calling it a “ten-year backwards” journey through time. And no wonder they are feeling impatient –international efforts to ensure that scientific progress contributes to the health of the world’s poorest can be traced back to as early as the 1970s, but we still have no systemic solution. While many high-income countries were clearly opposed to any treaty or binding financial obligations (and got much of the blame for blocking major progress), neither did the middle-income countries (MICs) step up to the plate. After all, there was consensus on the weak draft resolution (though some have questioned the procedural legitimacy of the last-minute 2am agreement on the text). While the US is the single largest funder of neglected disease research, Norway announced its willingness to increase development assistance for health R&D, and France announced that it would dedicate part of its new financial transaction tax to financing global health R&D, no MIC has made any such concrete financial commitments. The communiqué from a January meeting of the BRICS health ministers in New Delhi mentioned the R&D debates, but was similarly short on tangible action. Much has been made of the rise of the BRICS – or MICs more generally – and their growing financial, diplomatic, and normative influence in global health. Unfortunately, we’ve seen too little evidence that the MICs are ready and willing to fill the potential leadership vacuum arising from this power shift. Fortunately, it’s not too late. The draft resolution can be re-opened at the EB next week, and also at the World Health Assembly in May, to embrace more ambitious thinking. In the coming months, work also needs to focus on making sure that the next steps – developing an observatory, legitimate processes for priority-setting, and pilot demonstration projects – build cumulatively into more transformative systemic change. After a lackluster performance in November, it will be a key opportunity and test of whether leading MICs are willing to take leadership by putting money on the table and investing more political capital in the process. I use the term “pharmaceutical” as short-hand for a broader range of health technologies, including drugs, vaccines, diagnostics and other medical devices.